Wolverhampton vs Newcastle predictions for Monday’s Premier League clash at Molineux. Wolves look to maintain their recent unbeaten run when they face a Newcastle side looking to avoid Premier League relegation. Read on for all our free predictions and betting tips. FST’s Dean Goddard covers our Wolverhampton vs Newcastle predictions and betting tips in the video below. Wolverhampton managed to keep their hopes of silverware alive in midweek with a dramatic comeback against Shrewsbury Town, beating the lower league club 3-2 at Molineux to keep them in the frame for the FA Cup. Their return to the Premier League has been equally impressive too. Last weekend they picked up a potentially crucial 3-1 win away to Everton, keeping them in 7th place in the Premier League. 7th place is likely to yield a Europa League qualifying spot, so a victory against one of their main challengers for that position is a massive boost to their chances of continental qualification. There’s no doubting that they deserve it either. The Molineux club have lived up to all of the high expectations placed upon them since their promotion from the Championship. That win over The Toffees made it 3 wins on the bounce in the Premier League, and they have only lost 3 of their last 11 league outings. 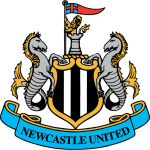 Newcastle are having a less successful season, with a dismal start to the campaign still haunting them as we head into the business end of the season. Their unfortunate loss to Spurs last weekend leaves them 15th in the table, just 2 points clear of the first of the relegation spots. The Magpies have won just 3 of their last 12 matches in the Premier League too, losing 6 times in the process and failing to find the net on 5 occasions. Rafa Benitez will be desperately hoping the arrivals of Miguel Almiron and Antonio Barreca can boost their attacking threat, because at the moment they hold the second worst attacking record in the top flight. Wolves will really fancy their chances on Monday night. 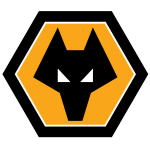 They have won 7 of their last 11 in the league and 4 of their last 6 at Molineux, including a fantastic win against Chelsea. Newcastle, meanwhile, have lost 4 of their last 7 league games and 3 of their last 4 on the road. They have won just 2 away games all season, so backing a Wolves Win here along with a 2-1 correct score predictions looks a good move. We’re also backing Wolves’ Raul Jimenez to find the net on Monday. The striker, who could become only the second Mexican to hit double figures in a Premier League campaign, has scored 9 goals so far this season and 7 of these have come at Molineux. With 3 goals in his last 2 outings in the league, he looks the perfect choice for our anytime goalscorer predictions.